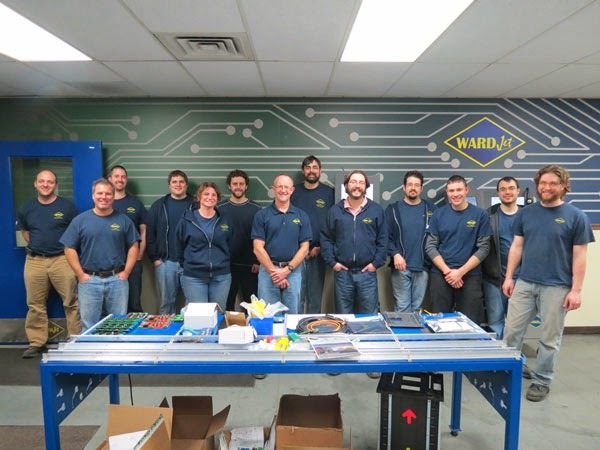 Since WARDJet was founded in 1995, working with UA College of Engineering students and graduates has proven to be invaluable to our company growth. In fact, many of the talented engineers at WARDJet completed their education at University of Akron. WARDJet engineering department reps will be at the UA Career Fair on October 8, 2013. Since UA is only about 15 minutes away from our headquarters in Tallmadge, many students working on their degrees spend time at WARDJet in a co-op position to gain real world experience. As our company grows, we also frequently have full-time engineering positions to fill. WARDJet is looking forward to meeting talented individuals at the University of Akron career fair and hopes to continue cultivating local young professionals. Check out the WARDJet Waterjet University web page to get a thorough introduction to waterjet cutting technology.